Discussion in 'Price Drops, Must-Have Freebies, and Deals' started by chiligames, Nov 26, 2016. App Gone Free! Thank you for all of everyones support. We have decided to make Hoops Freethrow Basketball free for forever! Check out our new Christmas Ball and Political Balls via in-game shop! Merry Christmas to all and happy new year! (Price will be adjusted) Represent your favorite NBA team! Show off your artistic skills! 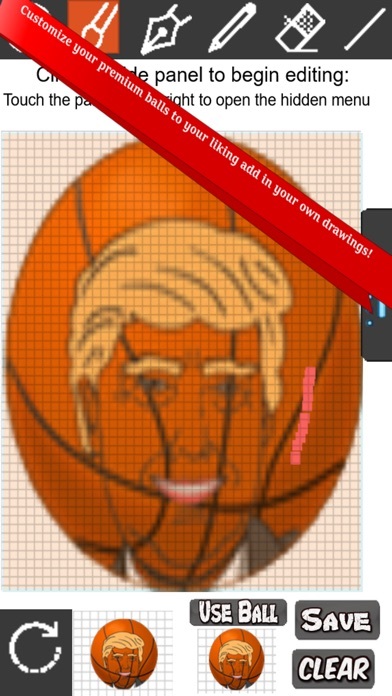 Customize & design your very own basketball! Hoops Freethrow Basketball is not your ordinary basketball game. 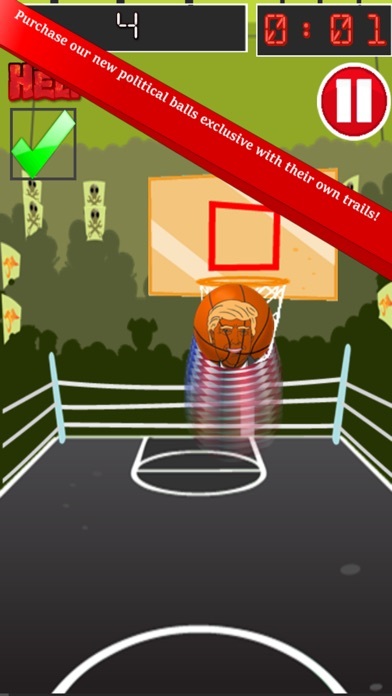 Hoops Freethrow Basketball provides players with a variety of game modes and allows you to design your own custom basketball. Want to challenge your friends? No problem! 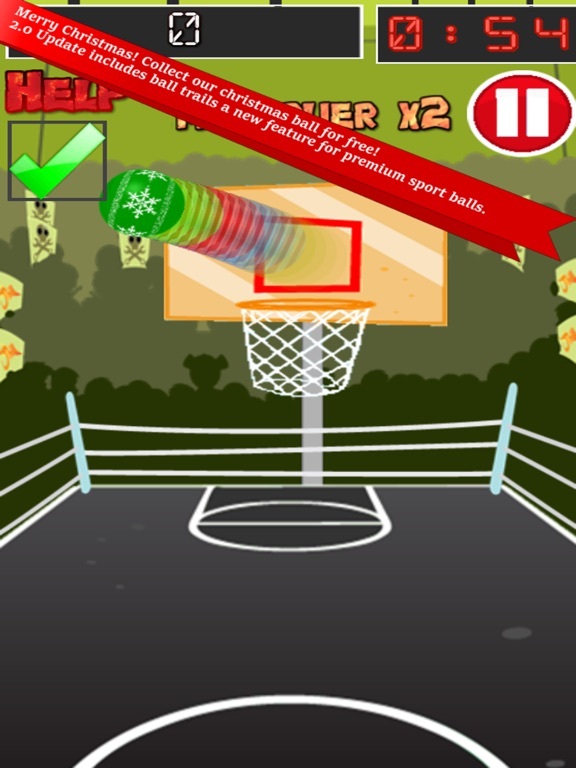 Multi-player mode allows you to challenge your friends using only one device (iphone or ipad) Take turns shooting hoops. Once your turn is over pass your device over to a friend to let them shoot. Great way to challenge your friends and family. Do a variety of trick shots while trying to shoot the net in both timed and 4-shot mode. 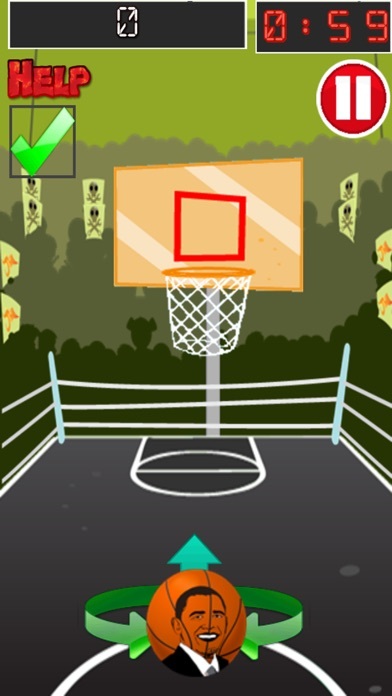 Share your score globally or with your friends after every game by submitting your score online. How to edit your ball: Go to options in the main menu and touch the edit ball icon. Edit mode allows you to use a variety of tools, brushes, pens, colors, and designs similar to other various photo and art editing apps already available on iphone / ipad devices. 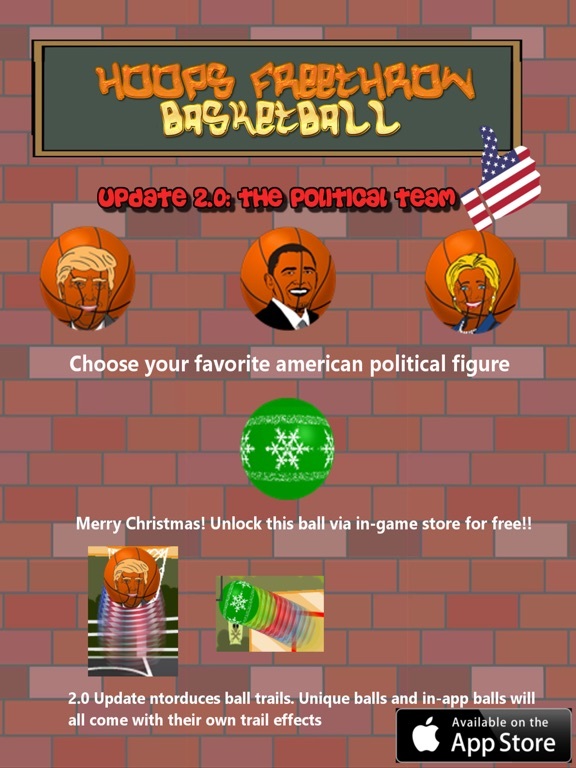 To edit your current ball select the ball you want via shop menu then press choose ball under edit mode Features: * Design your basketball with anything you wish (favorite NBA team, random doodles, characters) * Compete with friends and globally online via apples world wide leader board * Collect & Customize various types of balls from other sports * Play in two favorite game modes Time Mode & 4 shots * Challenge your friend anywhere you go in 2-player mode (take turns using one device) So what are you waiting for? Challenge yourself, Represent yourself, and show the world how good of a basketball player you are!